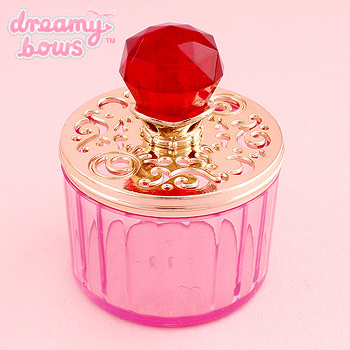 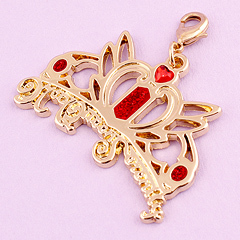 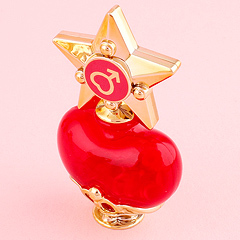 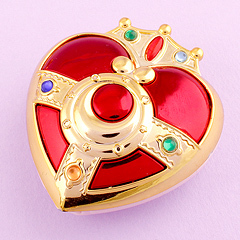 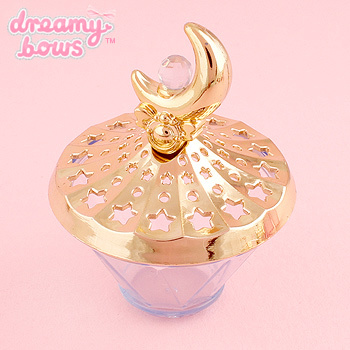 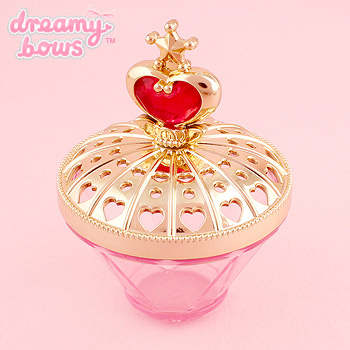 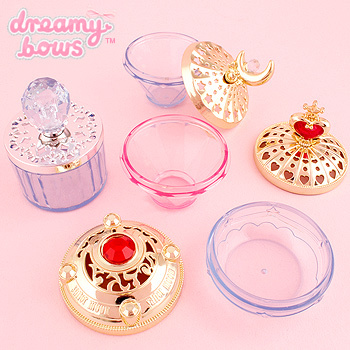 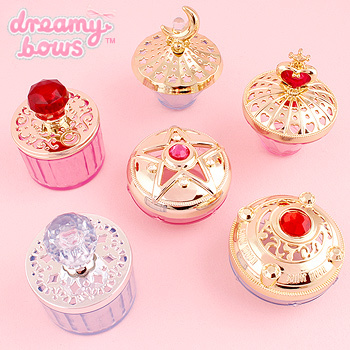 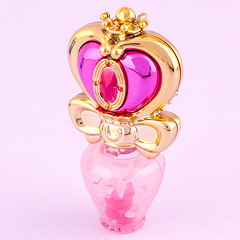 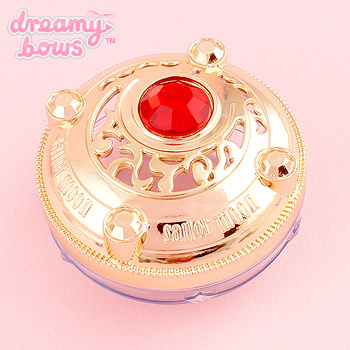 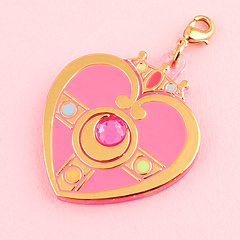 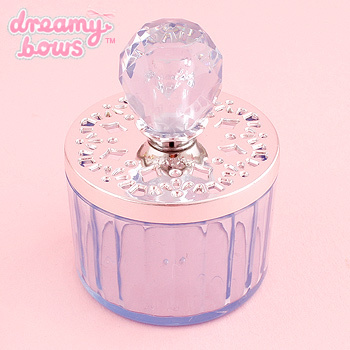 These cute gashapon Sailor Moon Antique Jewelry Cases were produced for the Sailor Moon 25th Anniversary. 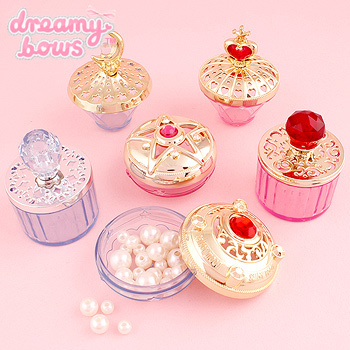 Each little case comes in a protective gashapon ball. 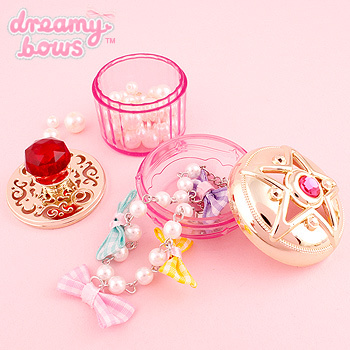 The cases measures up to 6cm tall and are perfect for storing small items such as medication, earrings, rings and other jewellery. Choose from: Moon Stick, Disguise Pen, Transformation Brooch, Pink Moon Stick, Silver Crystal, Crystal Star Compact. 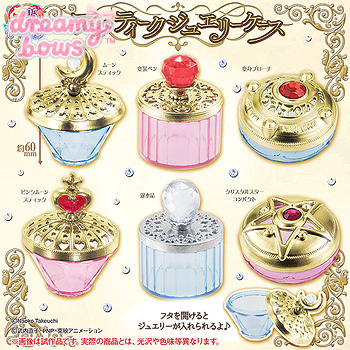 Due to the different shapes the measurements below are just rough guides. 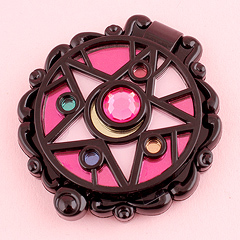 Tall: Moon Stick, Pink Moon Stick, Disguise Pen, Silver Crystal. 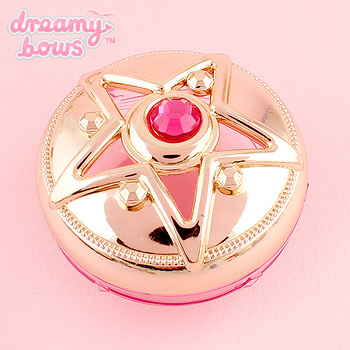 Round: Transformation Brooch, Crystal Star Compact.